Whether you're going through the Chamber of Secrets or visiting Diagon Alley, make sure you bring your favorite wizards with you! 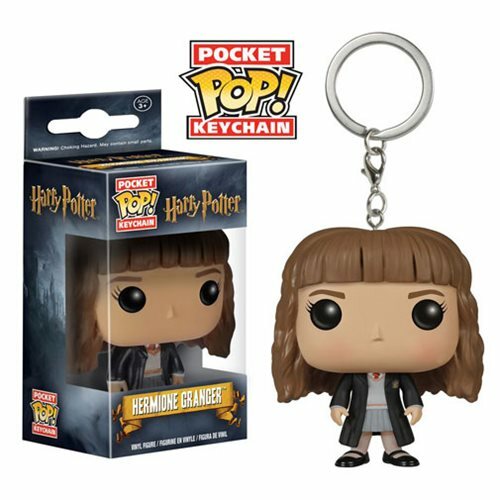 The Harry Potter Hermione Pocket Pop! Vinyl Figure Key Chain features a miniature version of the brilliant witch as a cute key chain! Key chain measures approximately 1 1/2-inches tall, so she's just the right size for your keys or backpack! Ages 3 and up.